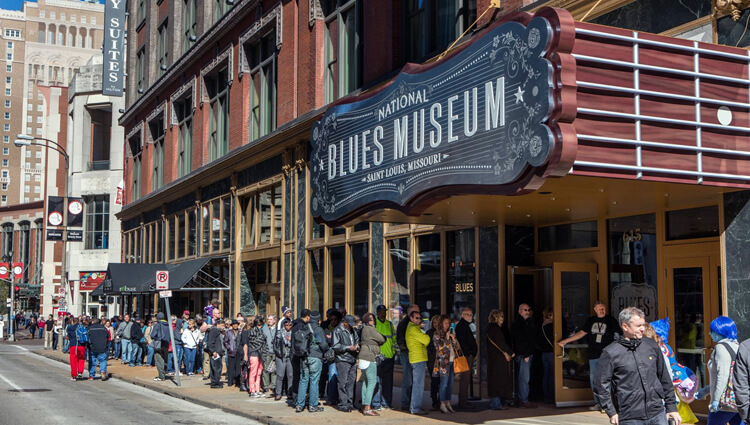 The National Blues Museum, a signature project for V Three Studios, held its official opening in downtown St. Louis on April 2, 2016. 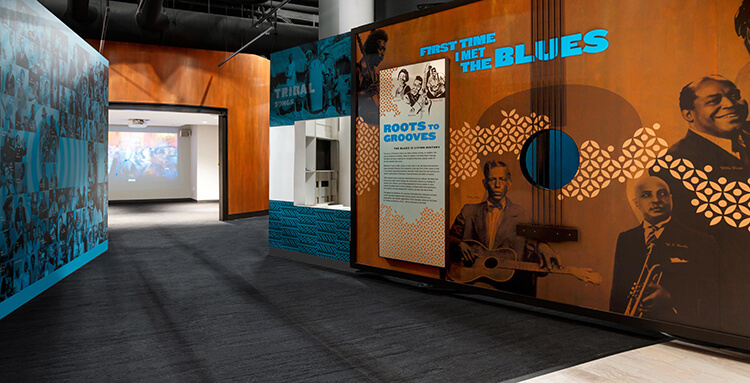 The completely renovated 23,000-square-foot space now features a modern, interactive museum celebrating blues music and its impact on American and world culture. The museum’s live venue hosted once-in-a-lifetime performances by Bobby Rush, Big Joe Brock and of course St Louis’ own Marquise Knox. The museum is anticipated to attract up to 100,000 visitors per year, and has been endorsed by celebrities such as Buddy Guy, Morgan Freeman, John Goodman, Derek Trucks and Jack White. During the opening week the Blues Museum was delighted to host over 4,000 visitors from all around the country. When the museum doors opened to the public on Saturday morning there was a line two blocks long filled with Blues enthusiast eager to be among the first to experience the interactive displays and exhibits. The first person through the door was a Chicago native who had driven overnight and started the line before the sun came up. Images courtesy of the National Blues Museum. The National Blues Museum is a signature project for V Three Studios that will be opening to the public in downtown St. Louis on April 2, 2016. The 23,000 sq ft space has been completely transformed from a turn-of-the-century department store into a modern, interactive celebration of blues music that is anticipated to attract up to 100,000 visitors per year. Along with the exhibit spaces, the museum houses a 100+ person theater and performance space for hosting live concerts and events. The theatre has direct views to the MX district through a glass acoustic wall assembly along Washington Avenue. V3 also designed a flexible workspace that will serve as administrative offices and an educational center for local schools and organizations. 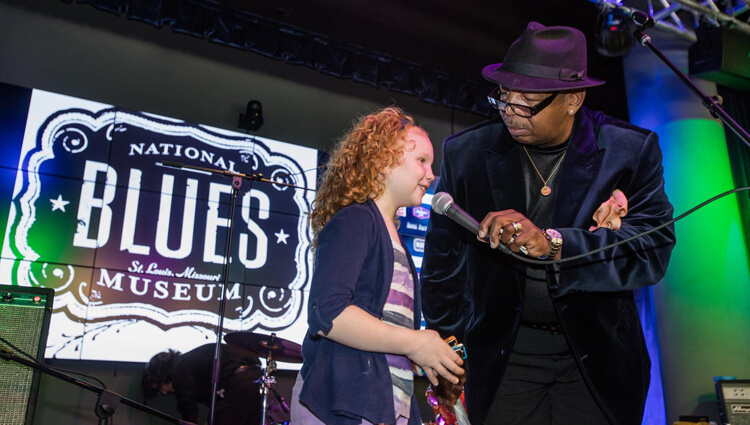 Supported by renowned musicians and personalities such as Buddy Guy, Morgan Freeman, John Goodman, Derek Trucks and Jack White, the National Blues Museum features an array of exhibits and artifacts intended to inform visitors of the heritage of the blues and the effects the genre has had on contemporary music. 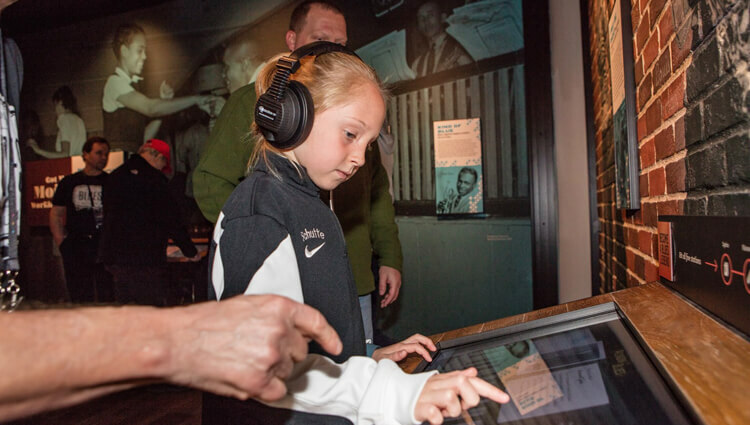 As visitors move through the exhibits containing memorabilia and artifacts from blues history, a series of interactive touch panels will allow them to become a “Blues Legend” by creating their own pseudonym, lyrics, instrumentation and album artwork. After completing each of the steps, visitors will be able to take their completed “album” home as a souvenir. The museum also includes a real-time interactive music experience called "Jug Band Jammin'" in which users can play traditional blues instruments along with performers on interactive screens. All of these unique features are housed in a rustic yet modern space that is anticipated to become a major tourist attraction in downtown St. Louis. Thanks to KMOV for featuring the National Blues Museum! 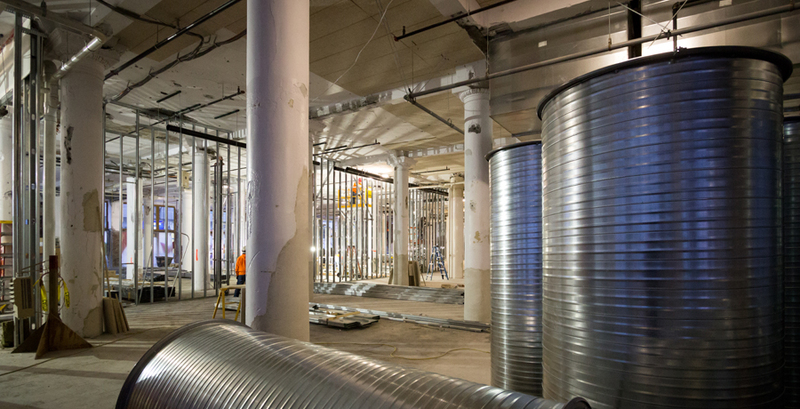 Construction at the National Blues Museum is well underway. Here are the beginnings of what is sure to be an amazing project.